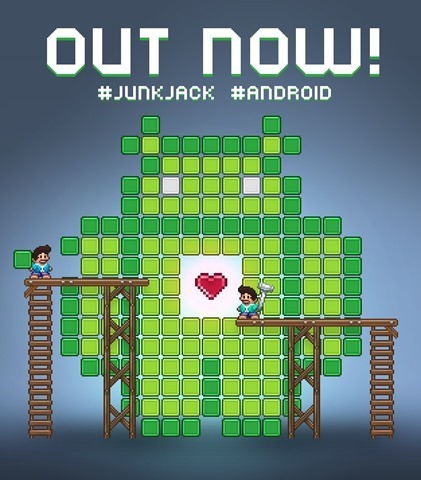 The Android version of Junk Jack has been released on the Google Play Store. We did report about a launch happening soon, but even we were taken aback by the surprise quick launch, as we didn't expect it to arrive so soon. Junk Jack is one of iOS' most popular games, and should provide a nostalgic experience for those who migrated to Android. The game is an open world sandbox, and is all about crafting. Monsters, day/night cycle, tame-able animals, farming plants, loot, planets, etc are some of the best features in Junk Jack. The game works on both Android Phones and tablets. Junk Jack has been priced at $4.99 on Google Play (Rs. 350 in India), similar to Terraria (which costs Rs. 330). 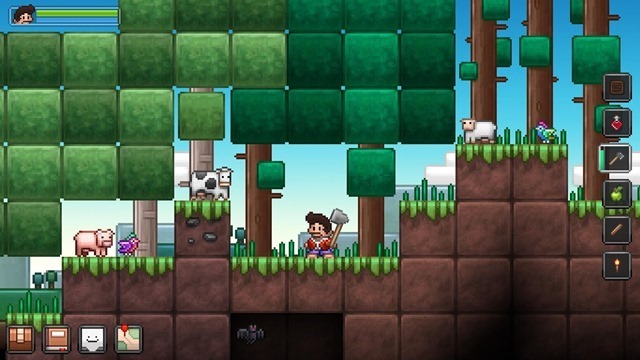 But Junk Jack has better controls, as it was originally designed for mobile devices, i.e. touchscreen gameplay. So you don't need a controller to play Junk Jack. The only issue is that there is no Free demo version to try Junk Jack before buying the game, and hopefully Pixbits will release one soon. Junk Jack has optional IAPs for hats, menu backgrounds, a gold logo to support the devs. You can also buy the Full Craftbook and the Planets Unlock, but you can also unlock both by simply playing the game.